Our Schertz eye care center is conveniently located at IH-35 North & FM 3009 in the Forest Ridge Shopping Center (near HEB) and are open 6 days a week. frames, add-on options, accessories, and sunglasses. Checks are NOT accepted. Click here to see insurances we accept. Contact our eye care staff to book or request an appointment by filling out one of the forms below. 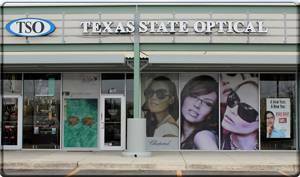 Or email one of our Schertz eye doctors with your questions or concerns. We look forward to hearing from you. And because we’re always working hard to improve our services, we hope you will take a few moments to fill out our brief customer satisfaction survey. We believe that providing quality Schertz eye care to our patients is a two-way street, so please let us know where we can make improvements or what kind of services you would like to see in the future.